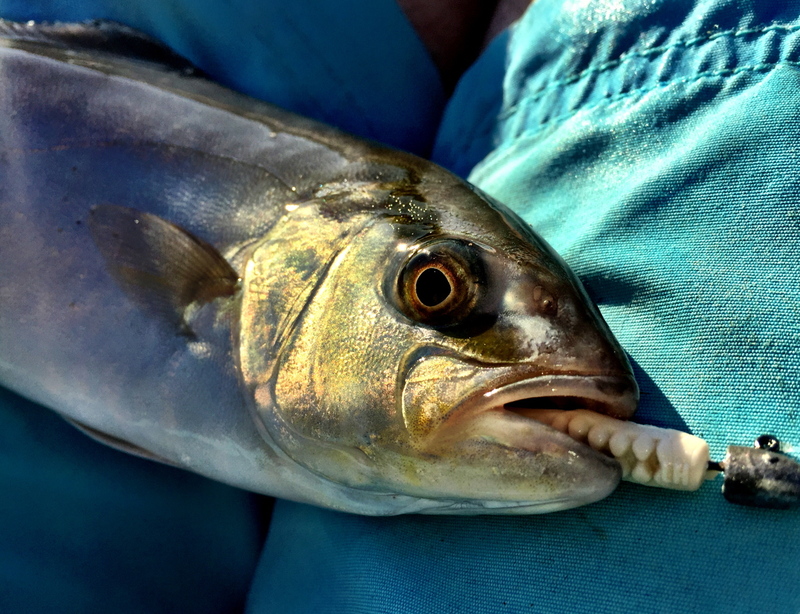 Probably the best sport I had in Skopelos was that offered by a tenacious little pack of juvenile Amberjack. Not particularly hard to hook-up once you found them - the faster the better! Super aggressive and great fun once hooked. At the time of our visit there was a huge number of smelt fry all around the island. Around 5pm each day, as the intensity of the sun started to decrease, the predators appeared to switch on. I noticed that the dense shoals of Smelt that had taken up residence under pretty much any stationary boat during the heat of the day, started to move about at this time, and this was the trigger for the pelagics to come within casting distance. 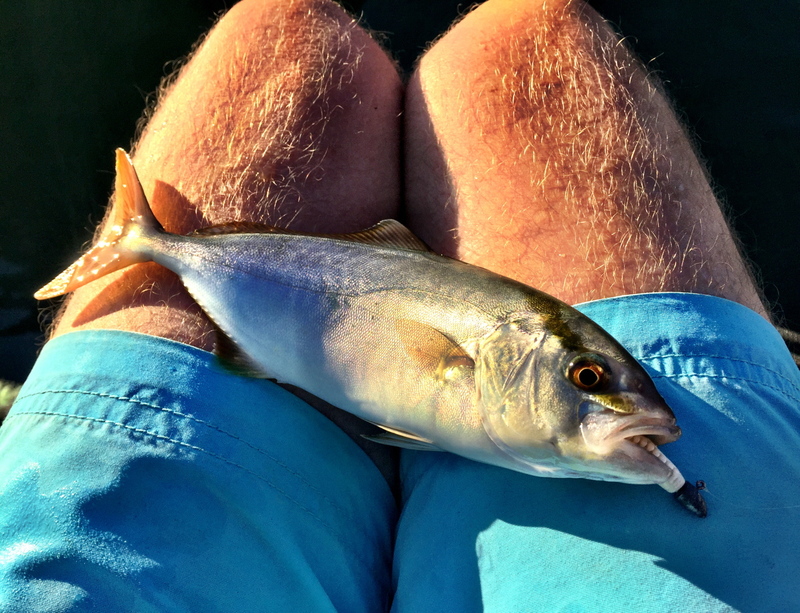 One memory that will stay with me was watching a single Amberjack hunt while I snorkeled. Like another pair that I'd seen the day before, it had joined a shoal of similar sized Salema. As the herbivorous Salema grazed away (as they do), the Amberjack seemed to act nonchalant among them. But every now and then, this individual fish would freeze and angle its head towards the surface. Once you saw this behaviour it became exciting as almost every time it resulted in the fish locking on to a target baitfish (mullet or smelt) and then it would kick-off! It was an excellent, first-hand reminder that you can't be too aggressive or fast with your lure. Even this fish, of not much more than a pound, took off like a rocketship. Much quicker than my eye could compute. Interestingly the battle was not always over as quickly as I might have expected. It was clear just how well skilled the chosen baitfish was of evading its attacker. 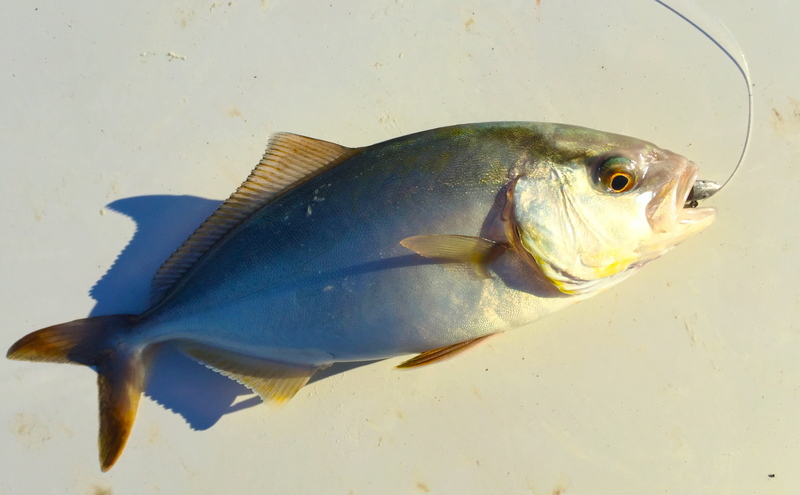 In fact, it was very clear that the Amberjack needed a tactical advantage to win. I noted that this was most often the use of a rock ledge (from the bottom to the water's surface) or rocky cul de sac to trap their prey. A gift to watch.